The age of security has come of age far away from the very start of the good old times of spies, defectors, thieves, pirates and robbers. Today it has become a very lucrative business with an up-trending graph. From the people who commit crimes to security agencies, both sides seem to be thriving with a little help from each others activities. Each of which cannot, will not and does not exist without the other. They are very dependent on each other. It is a symbiotic relationship. There is a police force in every country but there appears to be no peace force. Also there are annual defense budget in place but no peace budget. Because it always follows the money trail. Where there is money people are bound to follow. It’s also BIG business. This business has come into being supposedly to protect products and people. But it also fills in pockets. This will continue to grow immensely since there is a population explosion, with population comes in lots of money and with money comes crime. With technology entering into this arena, the services that it can provide are never ending and captivating indeed. 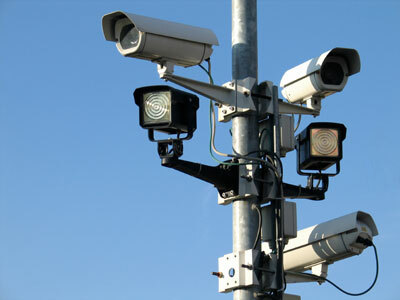 We are being watched by someone somewhere at each turn whether we are driving or walking and whether we like it or not. When there are no cameras in sight on the ground, drones flying high above the Earth may be watching our every move. They may even be using thermal scanners, infrared sensors, imaging cameras, and optics that can penetrate walls and other barriers. Security in itself has become a thriving business in all countries far and wide. With lots of money at stake, people are attracted towards it to cash in. All of us are paying into the system of security either directly or indirectly. From the products that we buy to the services we make use of, the price that we pay may have the cost of theft already factored into it. The merchant is not and will not be willing to absorb the loss. So guess who pays. Similarly, guess who is paying for the cameras at major intersections and for the overall security infrastructure. It’s you and me. We are paying for all these through our payment of traffic tickets, court costs, fines, taxes etc. Then there are security companies dedicated to providing their services to businesses and residential customers. The service they provide is to secure the perimeter of a home or office and its contents. They rely heavily on technology which is not cheap either. They also need to provide back up and redundant systems in case of power failure, natural disasters etc. Anytime there is a breach in security, the home or business owner is notified within seconds usually via text and they are supposed to take the appropriate action to prevent further damage. At times the law enforcement, emergency management teams and the fire department may also be summoned to act. There are many security system manufacturers, suppliers and distributors with far too many middlemen. In the end it is the consumers who are paying for it all, right from the manufacturing process to transportation to installation. After which they continue to pick up the tab for servicing and maintenance of the installed system. This involves usually making a monthly payment to the security company they are subscribed to. There may or may not be an annual commitment. Who would not like to operate a company with a subscription service guaranteeing them a monthly revenue? Facial recognition technology has taken over by leaps and bound just within the last decade or so. When we walk the streets we are not just one in a million, but we may be a well know face with a well known ID. That may include all of us and not just criminals. Information technology has taken the aspect of security one step higher. That is it has incorporated the same into our own lives by giving us remote access to our place of business or residence by allowing us to tap in remotely and spy on who is at the door or inside our own home. So what about our privacy? Is there any privacy at all? Do we care? 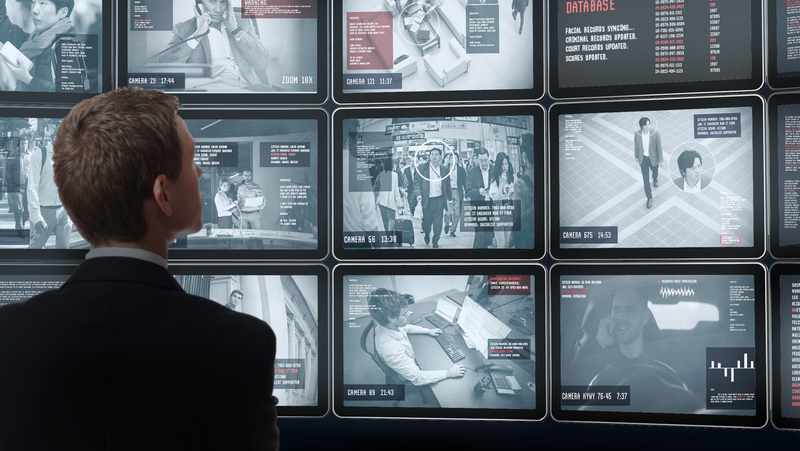 Can some one watch us unseen remotely within our own homes using our own gadgets without our knowledge or we ever knowing that we are being watched. The answer may be an astounding yes. We may be paying a heavy price for lost privacy unknowingly by giving up our control over our own lives inside our own home. Security driven companies may also be one of the largest group of employers on the Planet. Just look around you. They carry all the Big names in the industry. We are the only species on the Planet that is a threat to one another. We have all these systems in place just to keep each other off each others backs. In that process of managing such systems some people have managed to capitalize Big on it. In most cases we may never know who they are. To manage it all management and consulting companies have evolved along with lawmakers and law breakers. In the end it runs like a well oiled machine with so many moving parts and with each part cashing in on their take using us in the process and getting their share without us. Most of it happens even without us ever knowing that it is happening. Previous Post A World without BARRIERS. Next Post Our Facial Metrics.